Commencing with 'Learning Objectives', every chapter guides you succinctly through the topic, giving full coverage of the curriculum whilst avoiding unnecessary and often confusing detail. A fully revised self-assessment section matching the latest exam formats is also included. 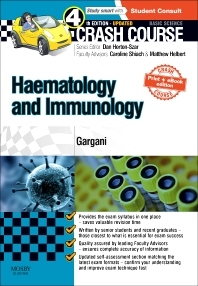 This volume presents two of the fastest moving medical disciplines, immunology and haematology, where molecular discoveries rapidly translate into new diagnostic tests and treatments in everyday medicine. This book clearly relates the important underlying principles in these areas with the latest clinical applications.